Instead of obsessing over the quantity of screen time, we should focus on improving the quality of it. At the end of 2016, I found myself mentally exhausted and barely able to string together a coherent thought or formulate an original idea. As I swiped through my social media feeds for inspiration—or maybe procrastination—a nagging feeling hit. I needed a break from screen time. Pediatricians, psychologists, and neuroscientists warn of potential negative consequences associated with constant mental stimulation as a result of interacting with our devices. Without a screen-free space for my brain to relax, stop firing, and just think, I felt incapable of significant mental processing. I could blame the technology for thwarting my attempts at creative thought, or I could blame myself for taking the easy route and using my devices to constantly stimulate my brain. Though I chose to blame myself, I am finding a lot of support for the idea of blaming technology when discussing the idea of screen time. Mobile devices have the potential to provide amazing learning opportunities as well as great distractions. They can further social interactions to help us build stronger connections in our communities, or allow us to destroy relationships by hiding behind a screen. In the book The Triple Focus: A New Approach to Education, authors Daniel Goleman and Peter Senge describe three essential skills for surviving in a society increasingly dominated by internet-enabled devices: focusing on ourselves, tuning in to others, and understanding the larger world. While the authors apply these concepts to the broader field of social and emotional learning, these same foci also apply as we address the issue of screen time with our students and children. Technology and mobile devices provide students with both ubiquitous access to information and unlimited distraction. The challenge is how to teach self-awareness and self-management. Do our students know how to control their devices instead of the other way around? Do they know what they need to do to maintain their focus and allow their brains to process the context around them? In a recent iPad workshop with a group of middle school teachers, we explored features such as Guided Access and Do Not Disturb—which let you restrict your device to a single app and silence calls, alerts, and notifications, respectively—to support self-regulation. These settings provide students with a means to control their digital environments. By leveraging both the technology and active reflection, we can help students recognize what they need to do to be successful learners and realize when to put devices away. Two years ago, a third-grade teacher wrote an essay for The Washington Post about her regret at providing iPads to her students. She lamented her decision as she felt that the students quickly found themselves drawn to the illuminated screens instead of each other. A professor of writing and editing responded with this question: “How would we react to the worrisome, antisocial behaviors [the teacher] notes in her essay if we simply replaced the iPads in her descriptions with books?” The professor argued that both digital and analog media encourage individual rather than social behavior, and that we need to recognize the balance between the two with our students. Ultimately, students need the ability to tune in to others in both the physical and digital worlds. In “Research Says Screen Time Can Be Good for Your Kids,” Jordan Shapiro, an edtech researcher, explains that teachers and parents often use restrictive mediation as a means to limit screen time. Through filters, parental controls, and the banning of devices, adults attempt to limit students’ screen time. However, in the process, they inadvertently send the message that adulthood equates to unlimited and unfettered access. Shapiro explains the need for instructive mediation—engaging with students to model desired and appropriate behaviors and interactions with screens. For students to develop the ability to understand the context of their device use, they need to observe positive social behaviors in the adults around them. Beyond helping our students develop the inner focus required to know how to best manage their interactions with their devices, and the outer focus of what positive use looks like, we also need to nurture our students’ abilities to recognize the context in which their interactions occur—the other focus. 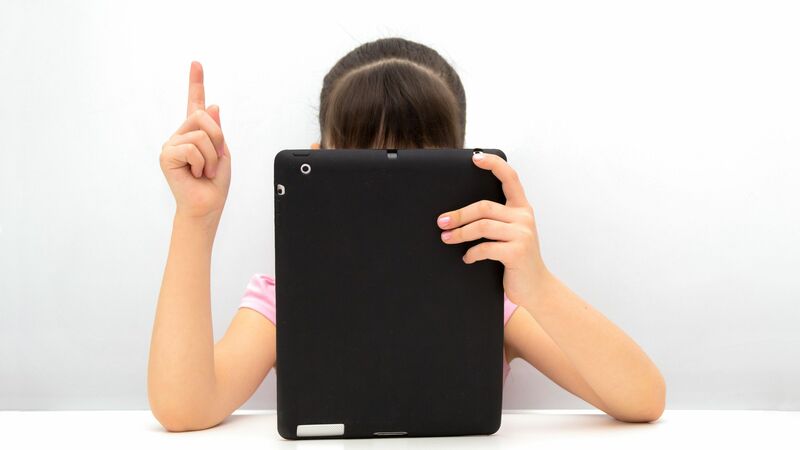 Screen time discussions often focus on just that: the screen. However, this may prevent students from grasping how their actions fit within a broader system. In a classroom setting, consider the potential of asking students to define how their device use impacts the class culture. What norms might the class decide to establish? Can the students identify different contexts where they may or may not want screens involved? What actions might the students take if they feel as though the norms of the class have been violated? How can they collaborate to seek out solutions to new problems that may present themselves? To help students to develop this other focus, Goleman and Senge say teachers need to scaffold this sort of smart decision making. By learning to recognize a larger system, students build a greater understanding of the implications and consequences of their actions in both the physical and digital worlds. If we consider the skills of focusing on ourselves, tuning in to others, and understanding the larger world as a framework for our thinking, imagine how the conversation about screen time could shift away from the amount of time spent with devices and toward how students might use them to become more productive citizens in a networked and global society. What if, instead of asking our students to put their devices away, we instead ask them to consider how they might be using those devices to improve themselves and their community?